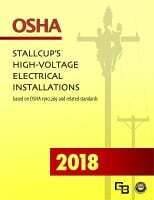 The rules and regulations in Part I of OSHA High-Voltage Electrical Regulations Simplified, addresses the work practices to be used during the operation and maintenance of electric power generation, transmission, and distribution installations. 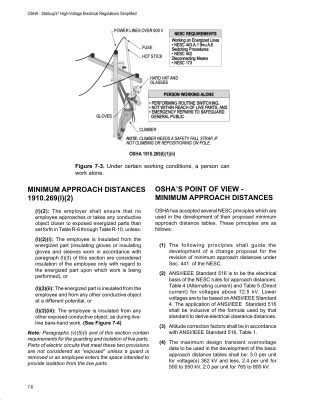 A comprehensive approach is discussed pertaining to control of the hazards involved for the safety of personnel working near or on such hazards. 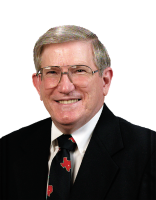 To protect personnel from the unique hazards encountered while working on high-voltage systems and associated equipment, the appropriate electrical protective equipment is recommended to ensure such protection. 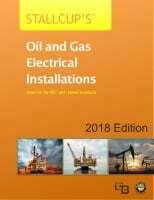 The rules and regulations outlined (when applied) will significantly reduce the number of fatalities and injuries involving electrical contact, flash burns, and thermal burns as well as other accidents which otherwise would be uncontrolled. 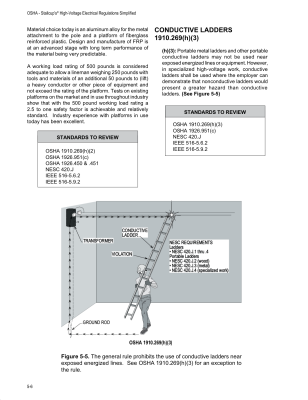 Employer and employees must learn the requirements of Part I which contains Subpart R of OSHA 1910.269. 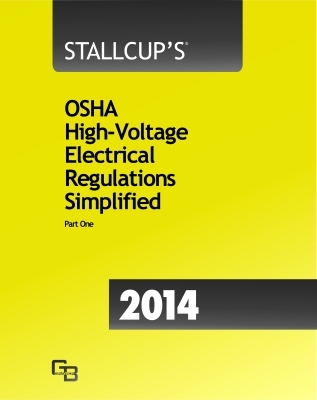 They must implement such rules to provide safety when performing maintenance on high-voltage electrical installations.